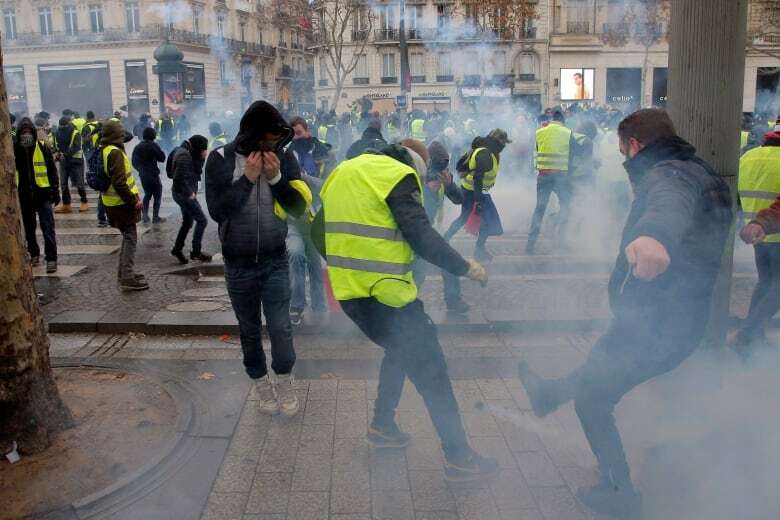 France plans to introduce legislation to toughen sanctions on undeclared protests in response to violent "yellow-vest" demonstrations, Prime Minister Edouard Philippe said on Monday in a hardening of the government's stance on the unrest. He spoke after rioters torched motorbikes and set barricades ablaze on Paris's upmarket Boulevard Saint-Germain on Saturday, underscoring how protests against high living costs and President Emmanuel Macron have turned violent on the fringes. "We need to preserve the right to demonstrate in France and we must sanction those who break the law," Philippe told TF1 television. "That's why the government favours updating the law in order to sanction those who do not respect this obligation to declare protests, those who take part in undeclared protests, those who arrive at protests with balaclavas," Philippe said. He said the government could model the new law on existing legislation against football hooligans whereby individuals can be banned from stadiums. It could be introduced as soon as February, he said. Philippe also said the "casseurs," or thugs, who have brought disruption and destruction to Paris and other major cities where shops have been looted and banks vandalized would be forced to pay for the damage they cause. 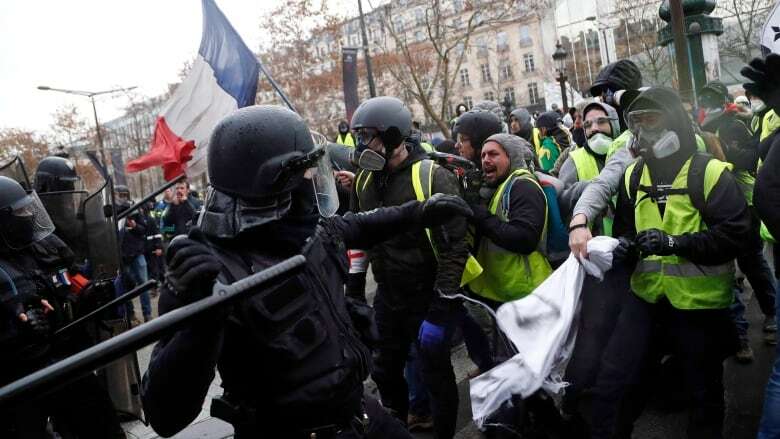 The latest "yellow vest" marches began peacefully but degenerated on Saturday afternoon as protesters threw missiles at riot police blocking bridges over the Seine. Two months after they started blocking roads, occupying highway tollbooths and staging sometimes-violent street protests in Paris, the yellow vests aim to inject new momentum into a movement that weakened over the holidays.